Journey back in time to an era when there were no powerful X-ray telescopes for surveying the depths of the sky and so inevitably people had a different concept of the universe. 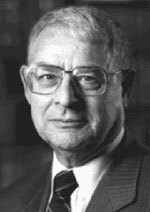 That was before Italian-born Nobel laureate Riccardo Giacconi entered the scene of astrophysics, pioneering X-ray radiation detectors for the observation of space and the launch of satellites for surveying the firmament in detail. In the process, he helped indelibly change the human concept of the universe. �Nature is bountiful. But sometimes you have to work hard to uncover its hidden beauties,� Giacconi told the audience on Monday at Bangkok�s Chulalongkorn University as he guided enraptured listeners on a virtual tour of outer space through a sophisticated presentation. His �Development of X-ray Astronomy� came as part of the �Bridges� lecture series sponsored by the International Peace Foundation. Decades ago Professor Giacconi, who won the Nobel Price for Physics in 2002, designed and built instruments for investigating cosmic X-ray radiation, whereby he was the first able to detect a source of X-rays outside the solar system and other sources of X-rays that scientists now believe may contain black holes. He stopped short of saying that his discoveries may also help redefine life on Earth inasmuch as life, too, is far from serene, but rather abrupt. The universe, he stressed, is �rent by abrupt changes of luminosity on large energy scales�. X-rays emanating from the blazing luminous halo around the sun, called the corona, have long been known. Yet in 1962 Giacconi and his colleagues alighted on a strong source of X-ray radiation in a constellation called Scorpius. The research team would soon discover a blanket of diffuse X-ray radiation all over the sky, thereby kick-starting the discipline of X-ray astronomy. Although cynics have branded X-ray astronomy as an arcane, elitist arena of scientific research, astrophysicists in general have acknowledged the discipline as an invaluable new tool for surveying the universe. It allows researchers to study stars and black holes in unprecedented detail, opening up unexpected vistas for research hardly imaginable before Giacconi. Back then it was difficult to investigate heavenly bodies in detail as observation times were fairly limited. Therefore, Giacconi began to construct a satellite capable of keeping a constant eye on the sky for its X-ray sources. The resultant satellite called Uhuru, which means freedom in Swahili, was launched into space from a rocket station in Kenya in 1970. A whole new era of space exploration began. Born in Genoa in Italy in 1931, Giacconi is a research professor at John Hopkins University in Baltimore. During yesterday�s presentation, he answered a simple yet crucial question: Why is X-ray astronomy important? It is important, he stressed, because it reveals �the existence of astrophysical processes where matter has been heated to temperatures of millions of degrees or where particles have been accelerated to relativistic energies�. X-ray astronomy has also brought to light the high-energy phenomenon that plays a crucial role in the dynamics of the universe, he explained. In response to a question from the audience, Giacconi insisted that how far into the universe astrophysicists could penetrate depended on their enthusiasm. �[Astronomy] entails a lot of drudgery,� he warned a group of university students. Some of the students, though, clearly hooked by the erudite professor�s depth of knowledge, seemed eager to penetrate even further into the mysteries of the great wide beyond.